Avoiding a queue hundreds of thousands of people long just to check your email seems like common sense, but it's only now becoming possible for people wanting to check out the new Mailbox app for iOS. 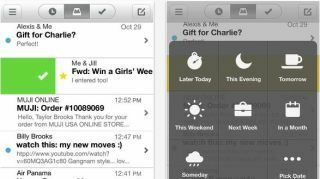 Following its buyout by cloud storage behemoths DropBox, the team from MailBox have only just managed to clear away the stragglers, enabling immediate access to the email app on iPhones. It's still only available for Gmail accounts, but the app has also received an update to improve swiping speeds, smarter snoozing and bug fixes. It's also up to delivering over 100 million email messages a day, which was enough for the company to decide to take down the waitlist. Whether people are still using the app is up in the air though, with iTunes reviews fragmented between excellent and terrible.